Teased on Twitter over the weekend, Fortnitemares is … some kind of … something. All we really know so far is that it will be popping up in Battle Royale soon. Fortnite has already celebrated one Halloween, Christmas, Easter, the 2018 FIFA World Cup, and more. Its celebration of Halloween this year started with the launch of season six back in September, which brought creepy new costumes, spooky decorations, and more. But that’s not all we’re getting. 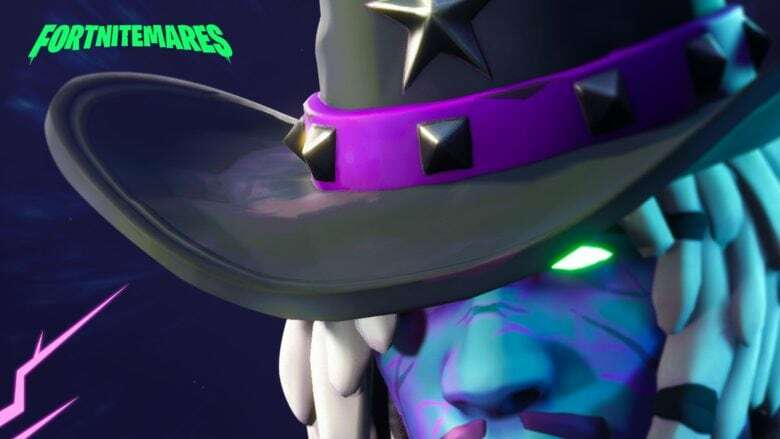 Epic Games has begun teasing a Fortnitemares event. Its first teaser was tweeted on October 20, and others followed on October 21 and today. All feature cryptic and creepy images and rhymes without telling us too much about what we can expect. We can almost certainly look forward to some kind of special game mode, then. It may even be part of a Halloween-themed tournament. But there may be something even more spectacular in store, which could bring more big changes to the Battle Royale map. Some believe that the line “the circle will close” could allude to the circles seen above and below the floating island that was introduced with season six. The island started out above Leaky Lake (previously Loot Lake) but has been making its way around the map in recent weeks. The house on top of it has also been changing significantly and is now filled with glowing purple cubes. Like a lot of things in Battle Royale, the island’s purpose remains a mystery, but it’s clear Epic has something big planned for it. We could finally find out what that is this Halloween. Until then, keep an eye on the Fortnite Twitter account for more teasers.